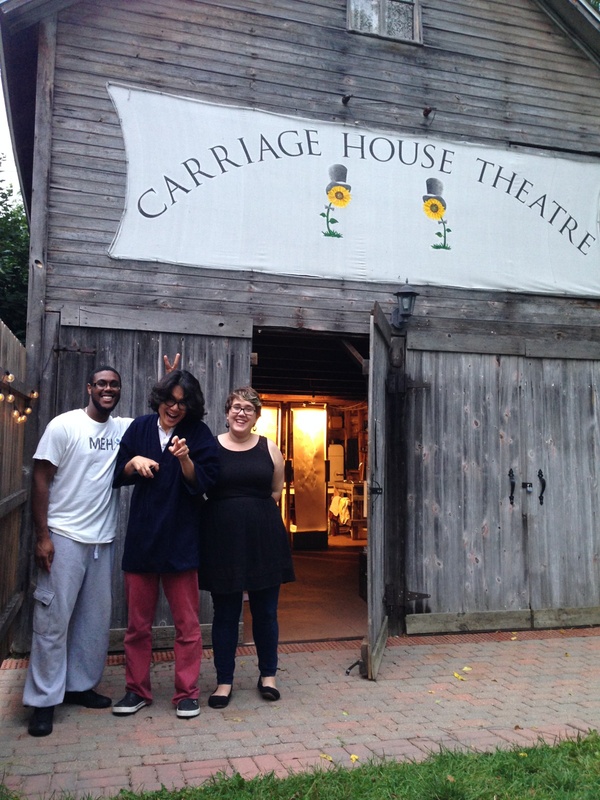 Ann Shaw 2014 Fellowship Report: In-Between: The Art, the Audience, and Me. In-Between: The Art, the Audience, and Me. I create theatre with and for young people. 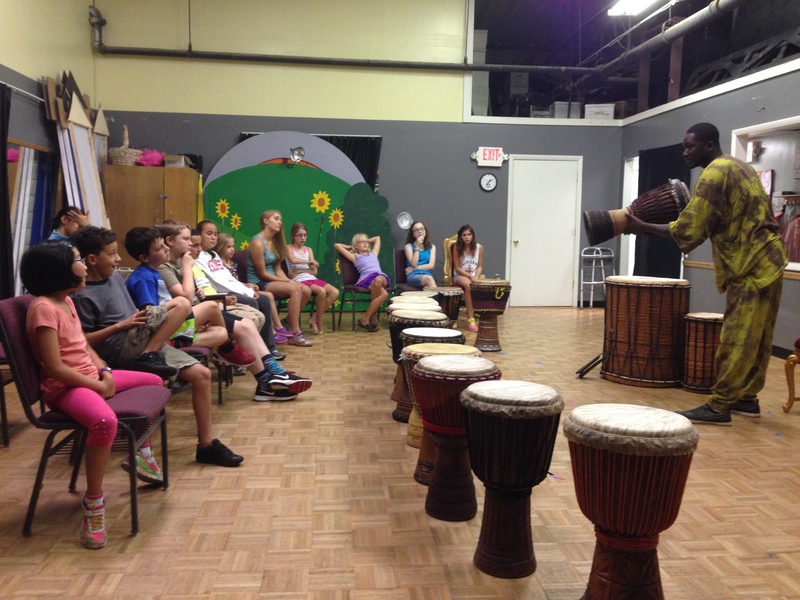 I’m passionate about sharing global theatre locally. I am an adult. I now have a child. I see theatre through two sets of eyes. In essence, I am In The Betweens. All sorts of betweens. And this is exactly where I want to be. Being ever so much in-between. A place very much in-between. Our explorations of the city revealed this. History. War. Survival. Architecture. Stunning transportation. Pain. Beauty. Artistry. Vibrant shopping, bars and bustling metros alongside the massive columns and corridors. Bricks speaking of the past and the ever-present spire of the Palace of Culture and Science. Warsaw itself is translating somehow between cultures – between ages. Feeling strange. I am no longer in graduate school, no longer an intern. I am a voting member in the Congress. Sitting in front of the Small Size Network table, there are times when I feel quite small sized myself, and then there are times when I feel confident that my presence is energizing and appreciated even in this huge hall of global theatre professionals. Participating in the Congress and seeing how much goes on here between the art and the politics, I realize the importance of these global initiators, in them coming together, to laugh, to struggle and to communicate around these global and logistical issues as a conduit for the art and audiences themselves. The Congress is very much an entity in-between. Listening to Suzanne LeBeau share her thoughts on being a playwright and realizing how many levels of adults there are between a playwright writing for young audiences and the young audiences themselves: producers, directors, actors, etc. Hearing her ask how can she get closer to direct interaction with the young people so that the art can resonate and speak more closely to them. This speaks so clearly to me and my sense of being in-between. Leading the International Playwright Slams and WLPG exchanges, I become aware of the synergy of placing global playwrights in a room together. I realize that the translating of these voices is so key to them being able to exist outside of their original cultures. Finding the right translation. Finding the connections in-between the languages, in-between the cultures. And for the first time, witnessing my own son taking in the glories of global theatre. Seeing him stand on his tiptoes and reach for the light in Spot or run with the breadcrumb pillows in Ants. He connects to the art himself now, and yet I still find myself to be between him and this theatrical world, to this means of experiencing and expression. In-between again… at least for now. Returning from the Congress, my work as an ‘in between’ seems so clear as I begin my Spinning Dot Theatre journey. How do we cross-pollinate this theatre art around the world in ways that reach and speak and touch such a wide array of audiences? How can one be true to the original intent of the playwright and the originally intended audience while at the same time being true to the audience that I will be offering it to here – in my theatre home? Learning to be good at balancing in this in-between in the belief that it has a place in global interconnectedness. I believe that theatre has a unique capacity to merge otherness and understanding, which is only heightened when it is a theatre that opens its heart to children. Reveling in this new journey of being In-Between. Wondering constantly where I fit into this mix of otherness and understanding. Producing plays from around the world to deepen our global connections in ways that are intriguing, enriching, and surprising for our audiences. Creating unique artistic learning environments that open up potential for young minds and hearts. Supporting and collaborating with artists who are passionate about creating new and adventurous theatre work for young audiences. And then they wrap hug me quietly. My artistry is somehow found in translation. Hearing the 8 year old boys in the Spinning Dot Youth Company debate the idea of an ‘honest world’ from Jeton Neziraj’s striking play from Kosovo, The Bridge. Having a woman of Japanese/American decent come up to me after a performance and tell me that so much of The Cat Who Ran seemed familiar to her. She cries. My nervousness subsides. I know this production grew so deeply, hand in hand with this sensitive cultural script, with creators from Meadville, Pennsylvania, Pontiac & Alpena, Michigan and Seoul, South Korea. Realizing the universal spirit in translation. When can they see The Cat Who Ran again. Finding the spark of theatre – even in translation. Hearing youth in our Global Spark! Camp talk to our Pakistani guest artist about Malala Yousafzai. They realize that if the 10 girls in camp lived in Pakistan, only 4 might be able to read. Then watching these youth implement these ideas directly into their self-created play. They become the global translators. Finding a group of artists and a community that leans forward into this idea of global theatre. Seeing how they understand that this international forum can take theatre and transform it from something lost to something profoundly found. Jenny Anne Koppera has her MFA in Drama/Theatre for the Young from Eastern Michigan University, and she is active nationally and internationally in the field of children’s theatre. In 2010, she received a national AATE Doyle Fellowship Special Recognition Award for her work in the field, and in 2011, she was one of 6 global interns selected for the ASSITEJ World Congress. In 2012, Jenny was selected as one of the Rye Fellows at the IPAY Showcase, and she was the TYA/USA Delegate to the International Directors’ Seminar hosted by ASSITEJ Germany in 2013. She is honored to be selected as the 2014 Ann Shaw Fellowship Recipient. For information on the Fellowship, past winners, and future application guidelines, visit the Ann Shaw Fellowship homepage. Jenny Anne Koppera is the Artistic Director of Spinning Dot Theatre in Ann Arbor, MI and teaches in the Applied Drama and Theatre for the Young Program at Eastern Michigan University. She is active nationally and internationally in the field of children’s theatre and has worked with TYA/USA, ASSITEJ International, Imaginate Children’s Theatre Festival, The Kennedy Center’s New Visions/New Voices program, Imagining America, the American Alliance for Theatre and Education, and the Write Local. Play Global. Network. 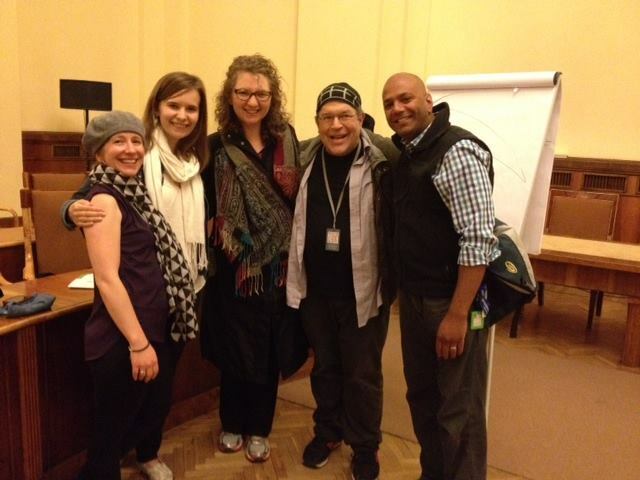 Jenny was honored to be selected as the TYA/USA Ann Shaw Fellow in 2014 and the TYA/USA Nominee to the Director’s Seminar in Germany in 2013.